The Cherokee National Forest is an enclave of largely unspoiled wilderness in Tennessee and North Carolina, covering more than 1,000 square miles of the southern Appalachians. Known for its hiking, camping, fishing, and other outdoor recreation, the National Forest is a treasure of natural bounty, containing a multitude of mountain vistas, clear running mountain streams, and second growth hardwood and pine forests. The region abounds with wildlife: bears, deer, beavers, trout, songbirds, reptiles, and a host of other sylvan life. Situated near the center of the southern half of the National Forest is a one square mile parcel of privately-owned real estate. A visitor to National Forest, who wandered onto this parcel, would not realize they were standing on private property. There are no fences that bound the property. It has the same mixed forest growth. The same wildlife abounds. Acquired by investors who formed a real estate partnership in 2005, the parcel was in a region where there was foreseeable demand for vacation and second-home properties. Although this group of investors could develop or sell their newly acquired land for development, they could not escape the notion that development would forever mar the unspoiled natural character of the property. Their reticence for development or sale, however, was tempered by the significant amount of money they had invested to buy the property. Thus, these new landowners were confronted with a hard choice: realize a substantial return on the money invested and destroy the pristine wilderness in the center of a national forest, or forego both the return and the capital invested to maintain the natural character of the land. The owners began exploring an alternative option. As it was explained to them, they could donate the development rights of the parcel to a land trust, a non-profit organization, which would result in tax incentives. Depending on the value of the development rights, this could result in tax savings greater than the amount invested to acquire the property. The carving out of the development rights also meant protecting the unspoiled character of the property. Foothills has a strict process when considering the acceptance of donations of conservation easements. First it has to decide whether the land is worth conserving and whether conservation of the property fits within its core mission. Next, Foothills executes a letter of intent which requires the landowner to pay a fee to Foothills for the preparation of a Baseline Report and, once the donation is made, to make a cash donation to Foothills to offset the cost of monitoring the property in perpetuity. Foothills also negotiates the exact terms of the conservation easement. Once the terms of the easement are negotiated, Foothills begins the Baseline Report. This is a document that fully describes the property as it exists just prior to a donation. It inventories the wildlife, plant life, geology, land-use information, soil, topography, matters of archaeological interest, legal encumbrances (e.g., utility easements), and wetlands. Further, it identifies the specific conservation values that will be protected by conserving the land, including a discussion of state-level and local conservation policies, recreational uses, protected habitats, scenic enjoyment and the protection of historically significant sites. Once the Baseline Report is complete, Foothills is ready to accept the donation. The landowners approached Foothills Land Conservancy about accepting a donation of the property’s development rights. Noting the parcel was located inside of the Cherokee National Forest, Foothills was amenable to pursuing the donation. The Baseline Report noted that the parcel is the habitat for a plethora of wildlife, contains numerous scenic values, preserves open space, provides opportunities for outdoor recreation, contains, as yet, six minimally impacted streams, and is in danger of being developed. The negotiated conservation easement precluded the building of any structures on the property, except for two cabins in specifically identified areas, effectively precluding the kind of residential development previously contemplated by the owners. The easement further precluded any commercial recreational use. Effectively, the easement permitted only private recreation and agriculture, and these activities were limited when they would conflict with the conservation values. Part of realizing any tax incentive for the donation of the development rights is a qualified appraisal of the donation. Donated development rights are determined by valuing the property before the donation and after the donation; the difference between the two values is the value of the development rights. The appraisal determined that the before-value was based on a highest and best use of subdividing the property into 131 residential lots. The after-value was determined based on the highest and best use as private recreation. Given the before value was substantial, and the recreational use generated a value considerably less than the original purchase price, the value of the development rights was great enough to generate tax benefits greater than the capital invested. In the end, after much due diligence and negotiation, this group of land owners donated all of the development rights in the property to Foothills. 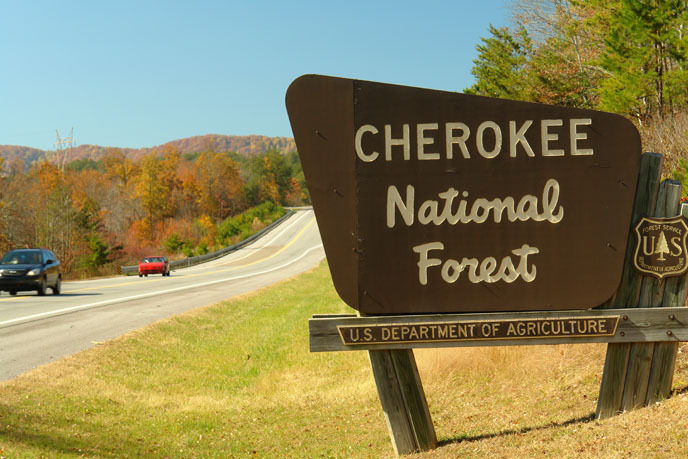 The owners received a tax incentive and the parcel in the heart of The Cherokee National Forest was protected from development forever. © 2019 Partnership For Conservation. All Rights Reserved.